There are many brands throughout the world that have lead to develop innovative products, systems and services. Yet all of these brands have generally been developing their products or the innovations was to be sold onto someone who is commissioning the project. The obvious brands come from within the weapons trade and more recently within the computer market. What has really been interesting to us as a company is a few projects that we have seen across the world that are blurring lines around brands and their products and services. We thought we would share of a few of these to see what you think about them. Firstly however it feels like that we have to look at some core elements of all of these brands. These brands have stretched but it feels right it makes sense and somehow it's very similar learning about a friends secret or skill you are a bit surprised at first but then you recalculate and it all makes sense. Top of the examples for us is RedBull. An Austrian energy drink company selling that sells around 4.6 billion cans every year. Very much a mashup of Eastern and Western cultures (having originated in Thailand) the brand launched in 1984 and was one of the first energy drinks, quickly being picked up in the clubs of the world when it was found to mix particularly potently with vodka. But that is where it ended right? Well not quite since then the brand has expanded through an incredible journey. It now runs the word's best Formula One team, having had won the drivers constructors championship as well as the drivers championship for the last few years. They host numerous events centred around high octane extreme sports. From cliff diving to extreme aerial aerobatic races. All of this has lead the company to create it's own events to sponsor and to get their message across. Yet all of this has been nothing up until last years project Stratos. The objective. Simple get a man to jump from space down onto Earth and along the way get him to reach the speed of sound all world firsts. With all of the previous examples from V-wing races through to running a Formula One team I kind of feel it makes sense. Why buy advertising at events and through product placement where your message is going to be so diluted it barely registers when you can create and run your own events and own your own products and place your brand anywhere you want. 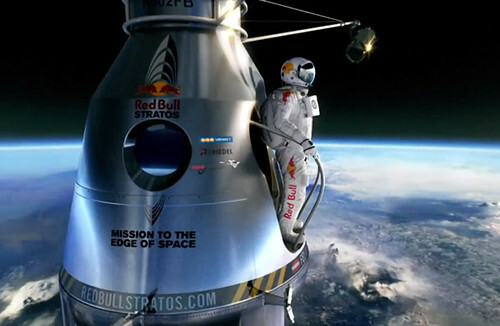 However the Stratos takes this concept even further while of course there is the event of watching Felix Baumgartner jumping out fo the pod thousands of feet in the air live to the world there is so much more about the project. The science the precision the fact that nothing like that had been done before so no one knew exactly what would happen to Felix all pushed the project into the pinnacle of something that goes beyond mere advertising. You got a sense having watched the documentary that learning and adding to our understanding in scientific terms was just as important to the people involved. It feels like this has moved what brands can do. Yet all of these things seem to fit with a brand that famously launched with the slogan RedBull: Gives you wings. Another trend within brands stretching and looking to occupy new spaces and markets is in the entertainment industry in no particular order there looks like there is going to be a huge battle in the next decade or so as to who will win the home entertainment war. For me the interesting thing about this is who these competitors are. Which further shows just how far a brand can evolve. I dont think I would have thought five years ago that Apple, Microsoft, Amazon and BT would be fighting it out for our money within home entertainment sector. I wouldn't have imagined they would have their own sports channel (BT), or that they would be the largest online film rental scheme (Amazon), or that they will only allow you to use their products when online (Microsoft). This may seem obvious now but when we are talking about someone like Amazon. they have gone from a online book seller to selling nearly everything, to manufacturing their own electronic goods to compete with Apple's iPad. 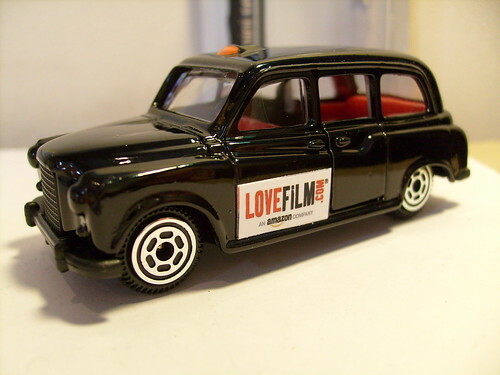 To even more recently buying Lovefilm and looking at setting up it's own broadcast channels. Yet all of this once again makes sense. In fact what is really interesting for me is that they have almost followed the evolution of entertainment as a blueprint to follow their evolution as a company. Books turned into tv which became computers which moved into online arenas. It feels like there is a movement within these examples and also in a number of other brands that seem to be merging product and marketing, and producing and selling. It feels like the brands that would have to advertise feel like they want to control the experience that these people get of an event sponsored by them. It also feels like other brands are merging the creation of their products into the marketing which seems to allow for richer engagement. This can be done through immersive marketing techniques such as games, competitions as well as allowing users to co-create the products with them. There are a whole host of other projects that I will try and find and write about in a later blog post.